I would have thought that all of the “healthy new years resolution” buzz would have slightly died down by now (i.e. some people would have already given up). But no, everything is still in full swing. People are bumbling left and right carrying yoga mats, Safeway is totally sold-out of kale, and I have to elbow through people while trying to run my normal (usually very uncrowded) loop around the block. Right now, everyone is so focused on what they want to change about themselves/their routine. What about the things that we actually like about ourselves? What about our little daily rituals and routines that make us happy? I think that this whole mentality that we need to “fix” our bad, former ways, and “totally revamp” our routine is problematic. So Dr. Oz told you that the gingerbread latte that makes you smile is going to slowly and painfully kill you, or your neighbor told you that Cross Fit is so much better for you than your weekly Friday night yoga class. Do you need to switch your gingerbread latte for celery juice? Should you tone your booty with jump squats instead of utkatasana? Personally, I don’t think so. New Years is a great time for trying new things, and sometimes they work out (I recently became re-obsessed with green smoothies). But why be miserable for the entire month of January? A little bit of familiarity and routine is important to hang on to in this crazy, unpredictable world that we live in. Right now, things are a little crazy for me (exams, track starting again, new semester… not to mention that it’s beyond freezing outside). This is a recipe that I’ve been making forever, it’s a little bit of familiarity in this otherwise chaotic time. My special muesli has powered me through many English exams, track meet, and chilly days — I know it’ll still work. What’s a familiar thing that you’re going to hold on to in the new year? 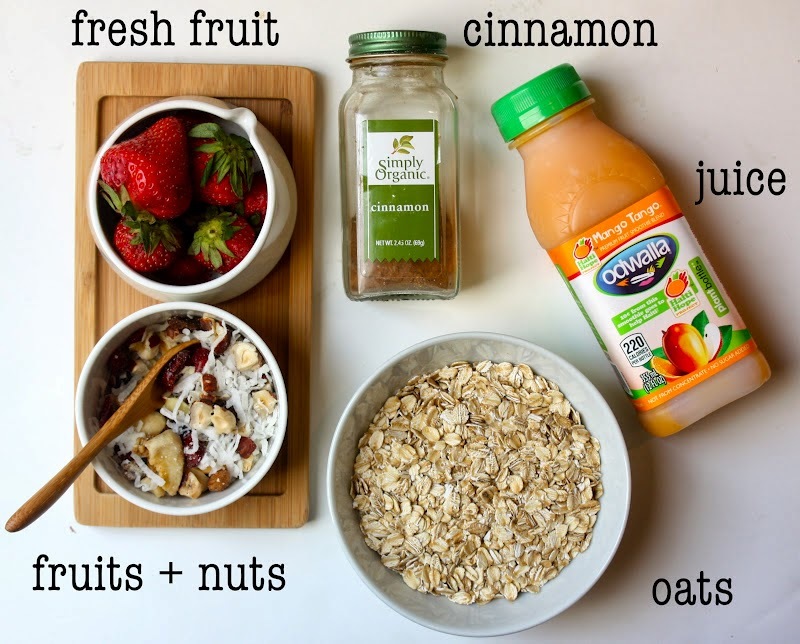 Combine all of the ingredients except for the fresh fruit in a container with a lid. 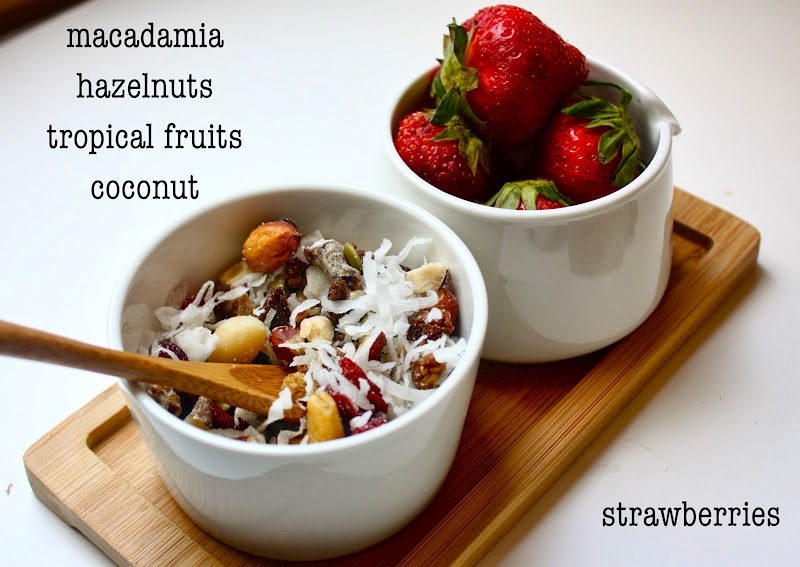 In the morning, scoop into bowls and top with fresh fruit.